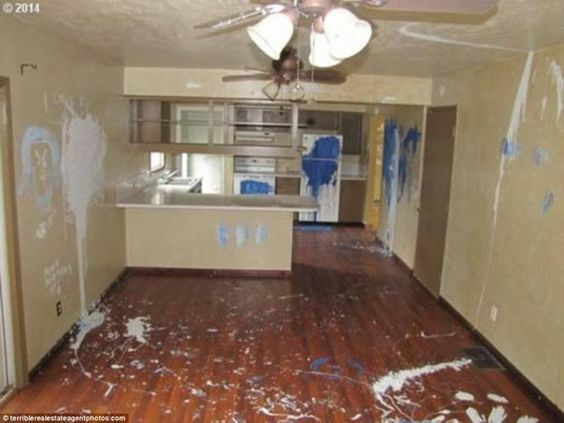 12 of the Best Home Staging Fails, ever. Around the Internet you can find great ideas for staging your home to sell at the best possible price. For the crafty and the DIY expert alike those ideas can add a great deal to your return on investment. For the less talented, staging your home for resale can be a fruitless pursuit that resembles less Martha Stewart’s “It’s a Good Thing” and more Marge Simpsons’ “I Don’t Think That’s a Good Idea”. 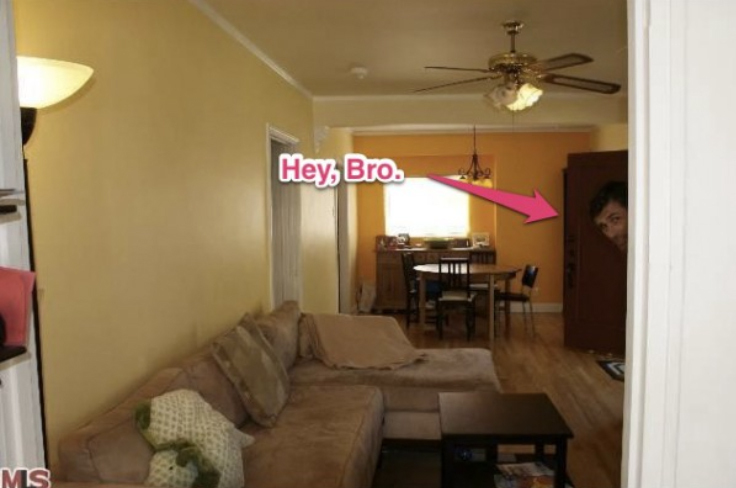 So here for your amusement, if not your information are 12 of the very best home staging fails from around the world of the internet! 2) See-through air conditioner covers. 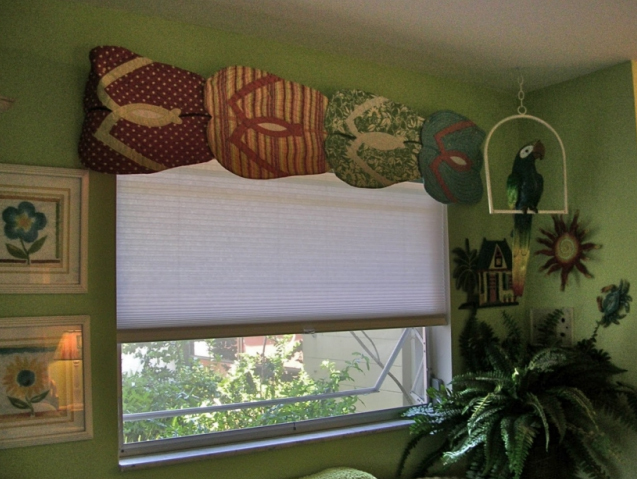 If you can’t find or make a custom fitted one you could at least trim the excess material. 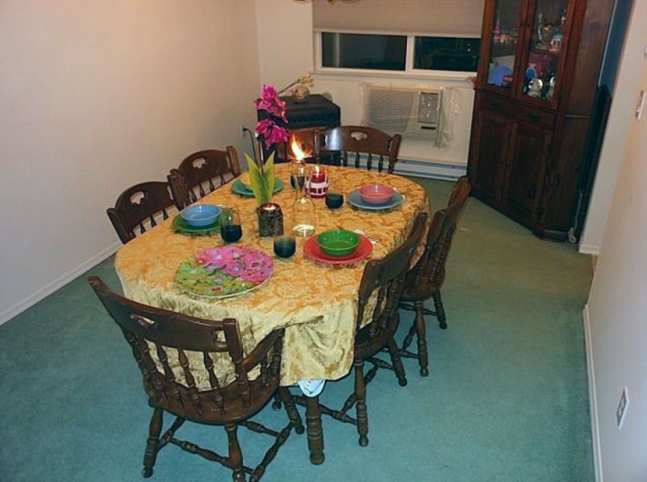 So much is wrong with this picture….carpet in kitchen And that table setting!! 3) People in your the staged real estate shots. Also, you may want to replace that dated ceiling but really, light bulbs are $1.99.There is no point in having pillows on your sofa if they are only an inch thick! 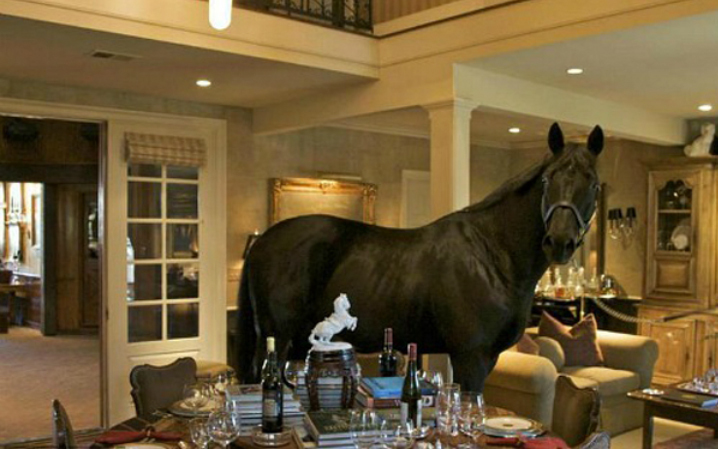 Almost anywhere else in the room would have been better…. this one makes me LOL!! People THIS IS NOT staging! 5) We mentioned that people in the photos are a no-no (see #3). Mannequins are just creepy. This one made me speechless which is very rare! Can you imagine the nightmares children will have after viewing this room with their parents. 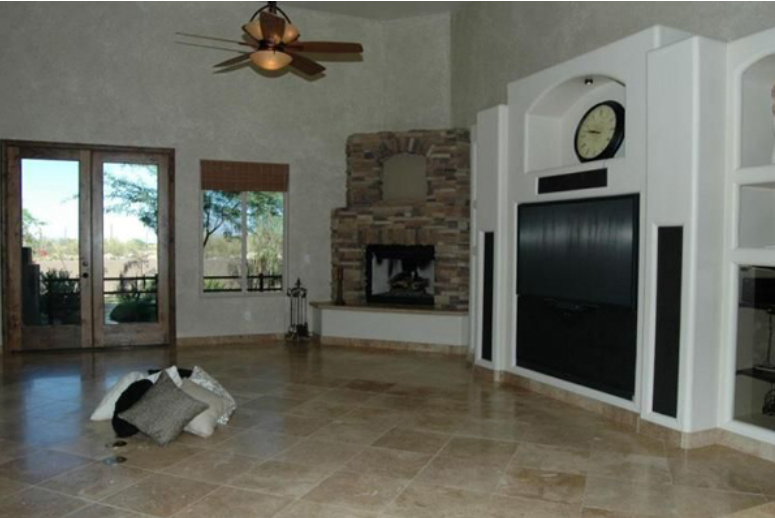 6) To help prospective buyers picture themselves in their new home, limit the personal interest items on display. I always tell my clients to remove personal momentous along with most of their personal pictures BUT this is a little obvious! The 4 bottles of wine on the table probably says everything about you that we need to know. 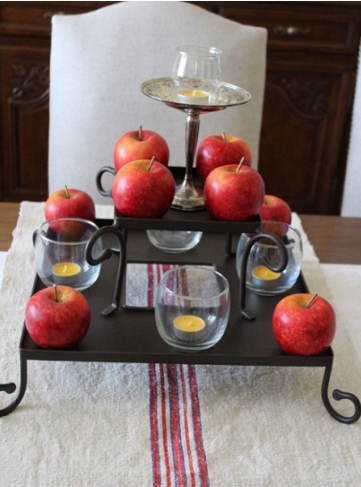 It’s like the “centre-justify” for apples. I couldn’t help myself I would have to eat one and throw the whole design off! 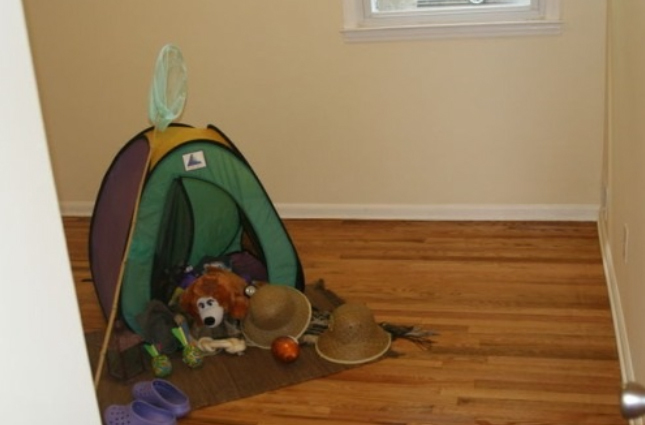 8) A spare room for guests – that you don’t really like. 9) The mark of a true amateur is stashing stuff you don’t want seen. 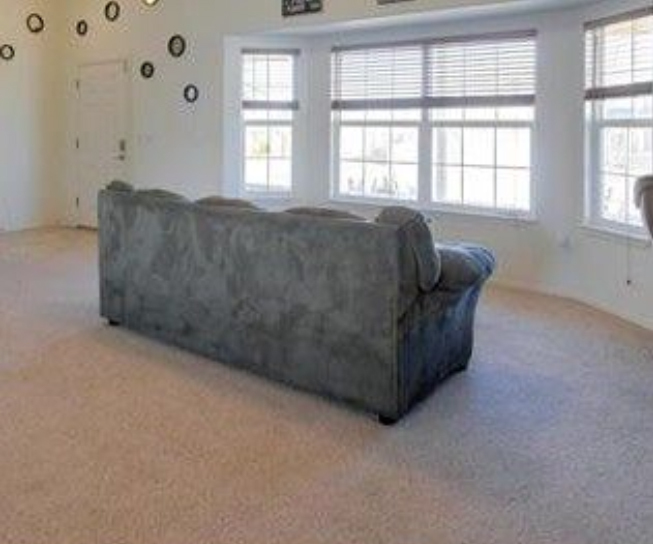 Because no one will wonder when the Realtor says, “There is nothing behind that door. Really. Nothing.” YIKES! 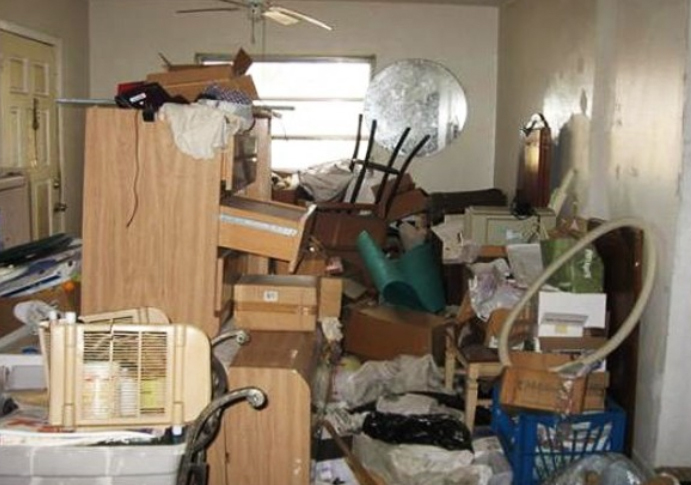 10) It is possible to go to far clearing the clutter. And those pictures are hung far too high looks like Mildred has a spot to check out the neighbourhood and see what everyone is doing. 11) Amazing what you can do with a little paint if you really want to be creative! Oh my! 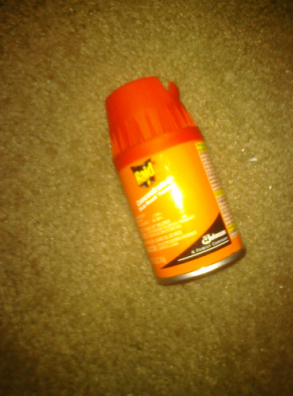 12) Finally, leaving a can of raid out in the open is definitely a deal breaker.